We have just had a fortnight at the Metaxa, and we will have no hesitation in staying there again. It was lovely to have a family looking after us - being polite and kind, but not intrusive. The hotel is very clean, and the pool is fantastic. We also met some very nice people, which helped to make our stay even more enjoyable. Stelios' Greek night was fantastic! Me, Liz and our Hannah will be there when you are. It will be our 6th stay at the Hotel Metaxa and wouldn't go anywhere else. Its a great relaxing place to base your holiday from. I would expect a little too quiet for you in the evening. But I'm sure you will love it , Stelios and his family are fantastic hosts and will try and make your stay a very pleasurable one. I'm sure we'll bump into each other at the bar at some point. We came back from Kalamaki early yesterday morning after a week at the Metaxa Hotel B&B. We arrived about 6am and the owner was there to greet us and show us the room. The location really is excellent, it is equal distance to the beach and the main strip, and is very peaceful despite being close to everything. If you like planes then it is great, you have a perfect view of the planes landing and taking off over one of the other hotels as the airport is only a few minutes away. The noise is pretty minimal and everyone who stayed there never complained of the noise and quite enjoyed seeing them. They are also not allowed to land after 10pm or before 6am because of the turtles nesting on the beach. The rooms were very clean with fresh towels and bedding everyday, apart from Sundays, and the maids didn't come in too early to wake you up. Although we were B&B, we got up to late to eat it, so cannot comment on the food. There was a pool bar which served some really nice foods though. The pool was the best thing at the hotel, everyday it was the same people around the pool, and as you are set a little away from the pool you don't get splashed. There are plenty of sunbeds and the pool is extremely clean. There is also a phone box outside which is useful. The only problem we found was that all the hotel is locked up at night meaning that if you were leaving at night or early hours of the morning (we left at 4.15am) you wouldn't be able to leave your suitcases anywhere, and have to pick up your passport and any belongings in the safe the day before. It also meant you had to pay to get the room an extra night, otherwise we could have stayed in the reception for a few hours kip. Just back from my first visit to the Metaxa. Hotel is very nice and clean and Stelios and his family were absolutely lovely. Good location for a peaceful holiday. No I'm not the same Liz (t'other halfs name is Simon ). But we do have something in common, we both obviously love this hotel and Kalamaki . We have stayed at the Metaxa for the last six years and plan to go back hopefully later this year but definately next year, so maybe we will meet up in the future. Just got back from yet another fantastic holiday in Kalamaki staying at The Hotel Metaxa as usual. Stelios prides himself on having one oif the cleanest if not the cleanest pools in the resort. All staff are very friendly and the atmosphere in this hotel is so relaxed. Time to go and book my flights for next year. I stayed at the Metaxa Hotel, in May 2003. It was brilliant, one of the most clean and tidy hotels i have stayed in in zante. and i have been there every year since 1996. Just a question to Liz Cotton, i dont know if i have the riht person, is your partner Ian, and did you both stay at the metaxa, at the begining of may 2003? there was only you two and me and my boyfriend. Sorry if your not the right person, i just remember her name being Liz. Going back to this Hotel again this year . Not booked our flights yet but still really looking forward to it, Stelios the owner is a really nice guy and always treats us really well every time we go. Greece win euro 2004 Fantastic, See you in 3 weeks Stelios. we went in September with Thomas Cook if that helps, very nice hotel too! Gillian, we are also from Manchester. This year we are flying with First Choice, last year we flew with My Travel(what was Airtours). We usually go to their websites and look for the best timed flights against cost. Also JMC do just fights along with Thomson. Thomson are more expensive but fly on different days from the rest, so the trauma of Zante Airport should be reduced. We are going on a Sunday which is one of the busiest days, but I'm sure we will survive. We fly at 07:00 so getting a taxi at the airport midday will be no problem. 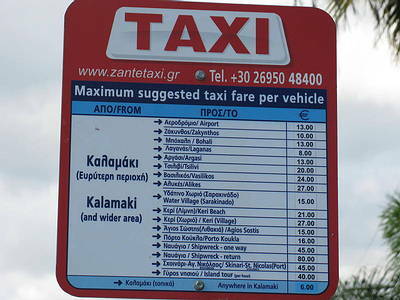 The taxi fare I think last year was about 11 euros. Its great to just get your bags and be at the hotel within 5 minutes. We have kids so its definately cheaper to book direct during the peak season, if you can go outside kids holidays I'm not sure if its cheaper to book direct or not. If you want any more info just ask. Can't wait till the end of July to get back!! Thanks Liz just wondered which airline you book your flights with I live in the Manchester area. Thanks for your help. Gillian, this hotel is with Direct Holidays this year. We have stayed at this hotel 4 out of the last five years. We now book with him direct and then just get flights. We are going back again in July and can't wait. 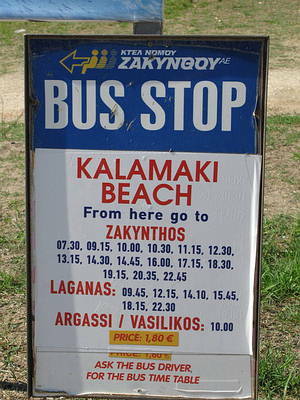 Just booked again for the 4th time at the Hotel Metaxa and the 5th time to Kalamaki. Can't wait, Stelios, the owner and all the Staff are extremely friendly and manage every year to make our holiday special. Was there for 7 nights last week totally enjoyed my stay, quiet location had cleaner came every day exept sun. cheap drinks in pool bar and was not woke by the planes as other people had posted also had a shower screen which is rare in greece. the extra night is the tour operators fault sadly, not the hotel or flat owners, I was impressed with Metaxa (even had shower screens! ), Stelios was very helpful after some thieving taxidriver nicked my mobile, cleaners were round every day bar Sunday and didn`t disturb us, would definitely stay there again. Aircraft noise never woke me once. Just got back from another wonderful holiday at the Metaxa (4th time). Sadly Coco the parrot wasn't there, but don't worry Stellios is looking for another parrot. With reference to an earlier comment about the price of air con - we stayed at the Amarylis Aparthotel last year and paid 10 euros a day for it, and if you think that the food and drink was a rip off you should have nipped over to the Amarylis to pay 3euros for a lager, whereas the Metaxa charged 1.8 euros. If you want branded drinks expect to pay more a bacardi and coke is 3.6 euros, budweiser 3 euros, whereas the local drinks are cheaper ie ouzo and sprite 1.8 euros, wine 1.3 euros and amstel or mythos lager 1.8 euros, soft drinks are 90cents (most restaurants charge 1.5 euros). Yes the key fob does control the electricity but I have stayed in hotels both in England and Greece where this happens, we had a room above the reception area that was in effect two room with one air con unit, and yes it was warm when we first went in but within 5 minutes it cooled down (some nights we had to turn it up because it was too cold). The breakfasts are basic a roll with ham, cheese or egg, a bowl of cereal, a glass of orange and either tea or coffee (you can have as many hot drinks as you want there is no limit, our favourite was the egg day. We will be back here next year. went there august this year. no building, but there is aircraft noise-didnt bother us. the hotel has the worst breakfast i have had anywhere in my entire life. 1 roll 1 slice of ham and a tiny cup of coffee-dont bother. u have to pay for the air con-5 e a day. BEWARE when you take your key and go out the power is stopped to the room, so the air con or anything else doesnt work. The food and drinks at the hotel are a rip off. i would go to the supermarket or the restaurant. People were friendly, but the hotel has no entertainment. take a lot of anti mosquito stuff. plug ins, spray, lotion, you will need it, but still expect to get bitten.